Would you make a good film director? Take our career test to find out how you match with this and over 800 other careers. What is the workplace of a Film Director like? A film director is someone who is in charge of making sure that every component of a movie runs smoothly. Generally, these directors work on a movie from its conception stage to its delivery stage. They have a say in how the scenes unfold, what props are going to be used, how the characters should look, and who should play specific parts. 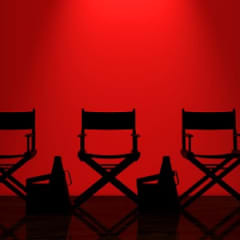 Directors also work with individuals in charge of lighting, scenery, writing, and so forth, to make sure that all of the elements come together. The director is in charge of the three main phases, which are pre-production, production and post-production. Generally, he or she does not actually do the work for post-production, but is in charge of overseeing it. Note the difference between a film director and a producer: A film director controls a film's artistic and dramatic aspects, and visualizes the script while guiding the technical crew and actors in the fulfillment of that vision. The producer initiates, coordinates, supervises and controls matters such as raising funding, hiring key personnel, and arranging for distributors. In addition to having control over nearly every aspect of the movie, film directors also have a large role in technical aspects. They read over the script to make sure that it makes sense, and they decide where the actors are going to stand and how they will move. Directors also help the actors to truly understand the characters. They might explain the characters’ motivation for a particular action or their back-story. One of the goals of a director is to push the actors to do their best work. Once the editing team gets to work, the film director has the final say as to how the shots look and how they should be blended together. The movie director can also decide that the crew needs to do another take of a particular scene or scenes. They also decide when one scene should fade into the next. A film director also has the responsibility of handling most of the budgetary concerns of a film. He or she will have to figure out how to make the movie work on the allowable budget. This might involve hiring actors who will work for lower pay, asking family members or friends to help out with some of the behind-the-scenes work, or coming up with less expensive strategies for executing an idea. Are you suited to be a film director? Film directors have distinct personalities. They tend to be artistic individuals, which means they’re creative, intuitive, sensitive, articulate, and expressive. They are unstructured, original, nonconforming, and innovative. Some of them are also enterprising, meaning they’re adventurous, ambitious, assertive, extroverted, energetic, enthusiastic, confident, and optimistic. Does this sound like you? 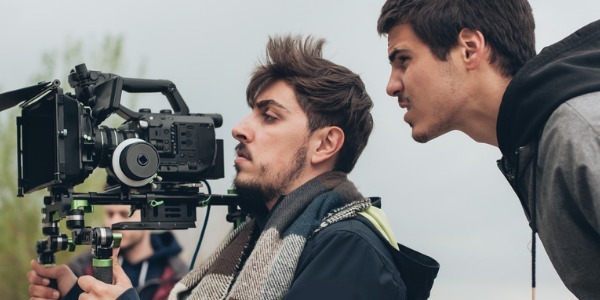 Take our free career test to find out if becoming a film director is right for you. There is often a lot of pressure in the work environment of a film director. Film directors need to make most of the decisions; therefore, the success of the movie depends on them. Furthermore, while film directors are working on a movie, they also need to be looking for their next movie. Many film directors have to hop from one job to the next. The entire production process of a film can take over a year. When the movie is in the production phase, the director is very busy. When the movie is in post-production and the director just has to oversee things, there may be a bit more spare time. When on a job, a film director’s schedule can vary considerably. For example, he or she might work for ten hours on Monday and then an entirely different set of hours on Tuesday. It is not rare for a film director to work on weekends, evenings and holidays.